Those keeping tabs on outbreaks of hairy hominid reports undoubtedly wonder as I do, why Colorado hasn’t experienced more activity than it apparently has over the years. Sitting on the backbone of North America, the state features 53 mountain peaks with an altitude of 14,000 or higher and this is the vast majority for the contiguous United States. 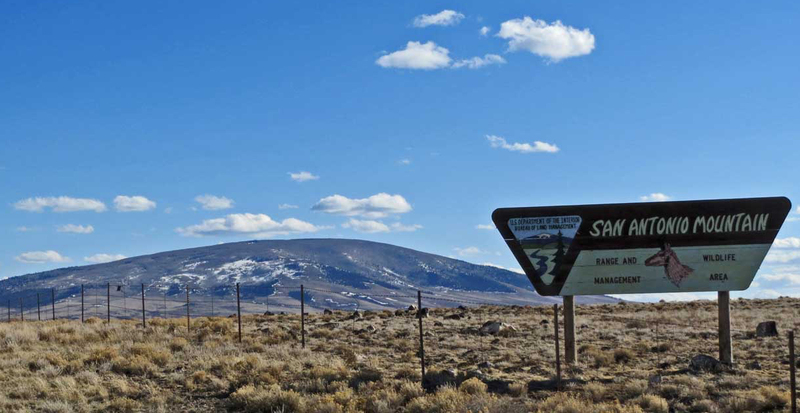 The mountains in the southern Colorado Rockies and Sangre De Cristos feature seven 14’ers, and just over the border, the highest mountains in New Mexico loom just to the east of Taos. Within these vast mountainous regions, there are countless millions of acres of remote wilderness with no roads, no infrastructure—plenty of room for a large population of Bigfoot to roam. Yet, sighting reports are surprisingly only in the dozens. Why is this? Is this vast inaccessible region perfect Bigfoot habitat, or is it something else? Let’s first look at what has been reported and then analyze our data. Of course, when I began my research into Colorado Bigfoot reports, the first place I contacted was the Bigfoot Field Research Organization (BFRO). Many of the reports listed in the total database of encounters come from this hard-working investigative group and a big thanks goes out for all their hard work! Much to my surprise, the BFRO database only lists 121 total sighting reports for the entire state, with Park County at the state’s center leading with 10. Adjoining counties Teller and Eagle to the north add an additional 15 to the band of reports that extends across the wilderness that surrounds some of North America’s highest mountains. These sighting report clusters are mainly May through September warm weather reports. Further east around the Pikes Peak region west of Colorado Springs and north into the Black Forest are clusters of October through April cold weather sightings. 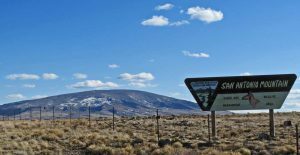 Another apparent main center of year-round Bigfoot activity is to the south into the southern San Juan and Sangre de Cristo Mountains that surround the ‘mysterious’ San Luis Valley (SLV). This concentrated area of activity also extends south into Northern New Mexico, with many sighting directly along the borders between Archuleta, Conejos and Costilla Counties in Colorado and Taos Rio Arribas and San Juan County in New Mexico. This is the region I will be examining in this article. I relied on my own ‘mysterious valley’ research as well as other several databases (including BFROs) and I’ve attempted to collate as many independent reports together as possible in my attempt to ascertain patterns or gain any other insight into Southern Colorado/ Northern New Mexico’s hairy hominid activity. Obviously, the best place to begin is at the beginning, so let’s first take a look at the indigenous traditions as they relate to hairy hominids. According to the plains dwelling Cheyenne, who were one of 13 tribes that visited the San Luis Valley during the warmer months, Maxemistas are large hairy humanoid bigfoot-like creatures, only they sport birdlike feet. The name Maxemista literally means “big monster” or “big spirit being.” Although Maxemistas are considered to be powerful and dangerous creatures, they are said to be shy and reclusive, unlike the aggressive cannibal dwarves that have been reported in the region for generations. Maxemistas were probably the same Hairy Men mentioned in several Cheyenne creation myths. These beings were said to live in caves to the south in the Cheyenne’s Front Range Colorado hunting grounds and they were notable for their shaggy body hair and lack of clothing. Maxemista literally means “Big Elder Brother.” Most Cheyenne stories that mention that the Hairy Men indicate that the Indians regarded the creatures as almost extinct. The Cheyenne Hairy Men Clan or Hevhaitanio are said by some to have been named in honor of the Maxemistas. Maxemista are reminiscent of the Chiye-Tanka which are large, shaggy woodland beings of Lakota folklore. Like the other Plains Indians that visited the SLV, the Cheyenne, Arapaho and Kiowa, all have traditions that tell of large hairy hominids in their environment. There also appear to be similarities to the Dine’ Nakani that are said to be cannibalistic hairy giants. A major center of sighting reports, the Blanca Peak region of the Sangres is said by the Navajo to be sisnajiinii, or the “black sash medicine belt” the place where “all thought originates.” I was told by a Navajo medicine man that the actual doorways, or locations that lead to another realm are not static, they move up and down the range and can be found between Blanca Peak in the south and Crestone Peak to the north. Pueblo Indians who journeyed to the SLV also have traditions that tell of large hairy human-like beings that lived in the remote wilderness. Both the Hopi and the Zuni (North America’s aboriginal people) have stories about bigfoot-like creatures. As you travel up the Rio Grande River to Taos—location of the oldest continuously inhabited dwelling in America: The Taos Pueblo—on the northern horizon is the North America’s largest free-standing mountain, San Antoine Peak which is located just south of the Colorado border in extreme northern Taos County. According to the Tewa, San Antonio Mountain is the “home of Massaaw” the Pueblo Indian “God-of-Death” or, in some versions, Creator’s second-in-command. He is usually found underground in the lava tubes where he lives under San Antonio Mountain, but he does come up above ground from time-to-time. When he is seen on the surface, he is described as being unusually tall, large boned and hairy. And, he smells really bad. There are varying stories along this theme but most stories agree that he is mostly benign, but can turn dangerous if surprised or threatened. It should be noted that seven reports were filed by witnesses located on the CO/NM border during the winter of 1994-95 and all occurred within sight of San Antonio Mountain. 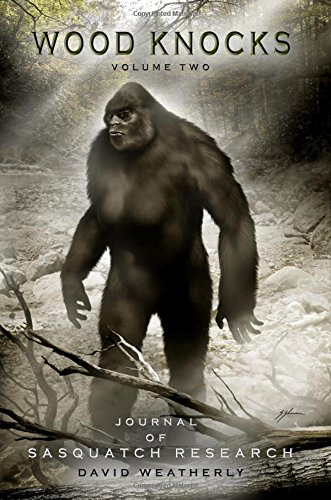 The Hopi elders say that the increasing appearances of Bigfoot are not only a message or warning to the individuals or communities to whom he appears, but to humankind at large…. they see Bigfoot as “a messenger who appears in evil times as a warning from the Creator that man’s disrespect for His sacred instructions has upset the harmony and balance of existence.” To the Hopi, the “big hairy man” is just one form that the messenger can take. When the Independence Gold Mine first began operations around the turn-of-the-century, seven miles south of Crestone, Colorado in the Southern Sangre De Cristo Mountains, large human-looking footprints near the entrance were said to have been found by miners. Sean, a lifelong valley resident and local tracker was told by his grandfather who worked at the mine that the men had seen a Bigfoot one night in the late 1920s. According to the tracker, many locals at the time also had caught a glimpse of the creature and they’d named it “Boji.” The men left food and other treats out for the creature who may have lurked about the camp for several seasons. Sightings of this ilk appear to have been rare in the southern Rocky Mountains but the hesitance of locals to come forward, during the flurry of encounters in 1994-5, illustrates why it may be so difficult to investigate encounters with these creatures that apparently lurk in the southern Rockies. A series of sightings that were investigated by BFRO investigator Keith Foster occurred along the upper Conejos River in the early 1990s. One report was filed by by a family that vacationed during the summer months up near the Lake Fork Ranch. “In 1991, my cousin had his large RV almost tipped over in the night, with him in it, as something grabbed the RV, and rocked it violently. He stayed up the rest of the night, with pistol in hand. In the morning a box of apples was missing, box and all. The sightings along the Lake Fork of the Conejos ceased in 1992 and 1993, but more sighting reports would return in 1997 and in 2009. During a seven-day period, from the last week of December, into the first week of January, seven “Bigfoot” encounters were reported to local Costilla County, Colorado authorities. These encounters were all reported within a seven-mile area, and because of local’s reluctance to go on record, I’ve not pinpointed the exact location of these alleged events. Many area residents appear to be very protective of the occasionally seen “Bigfoot,” not to mention sensitive to their own privacy. The following events were related to me by the Conejos County undersheriff. Several days before, a niece of the undersheriff called to tell him that, “she had found some tracks that he’d better come look at.” She described them as being huge, human-looking, barefoot tracks. Not taking it too seriously, he didn’t immediately investigate. On the morning of the 31st, he followed her to the remote location with a video camera to document the scene. He wished he had gone out the day she called, for what she showed him was incredible. Descending for hundreds of yards down a cow trail were two sets of human-looking tracks. One measured 20 inches, the other 18 inches long. They descended over a variety of terrain: rocks, snow and bare ground. They were unmistakable. One of the larger prints was so pristine that “you could see toe-nail marks!” I have seen the footage of these tracks, and visited the site and there is no mistaking the classic Bigfoot tracks. Shaquille O’Neal would be the smaller one’s baby brother. Shaq has a size 20 foot, these tracks were a size 35 to 40! The undersheriff’s niece also related a strange story. On the eve of discovering the tracks, she had heard her dog bark furiously outside. She went out to see why he was barking; when she heard huge “footsteps go running by the house.” Outside, she found her dog cowering inside the fenced yard. The dog had been locked out of the yard. She put him back outside the fence. A short time later, he started barking again, and once more she heard the huge running footsteps and “a twang of something hitting the barb wire fence.” She went back outside and found her dog shaking inside the fence again! The following morning, while stalking a herd of deer to take photos, she happened to stumble on two sets of giant barefoot tracks walking side-by-side. She called her uncle to report the possible encounter and the tracks. The investigating officers noted that drops of blood seemed to accompany the larger of the two sets of tracks in the trackway. Subsequent testing by the Colorado State Crime Lab indicated that the blood samples were from an elk. They proceeded directly to the sheriff’s office to report what they had seen. According to the undersheriff, “They were real upset about it.” This impressed the authorities enough for them to mount a search for the creature. They combed the hills but found no sign of it. One interesting correlation to the above, during this same two-day period, a Washington State man reported seeing a Bigfoot with large pointed ears and wings near Mount Rainier. Motorists who had spotted large hairy humanoid creatures, at night, next to Highway 285, subsequently filed two additional reports. A trucker who claimed the one he saw was “all white” made one of the reports. Yet another report was filed by a man who claimed he witnessed a pair of Bigfoot “stalking a herd of elk” on the northern side of San Antonio Mountain. He was close enough to see them “signaling to each other” while watching them through his binoculars. “I have a biology degree and work as a wildlife biologist. I usually don’t tell people about it, but after reading some other stories on your web page -why not. [The witness was able to supply exact coordinates, A & G References: T28s R73w, sec 24, SE 1/4, N1/2. 6th principle meridian.] The sighting occurred approximately 4 – 6 pm. “After hanging out at the lake we had all started to turn back. After a while we decided to race down the hill off the trail back to camp. (last one there was cooking). I hung back with another friend to just walk back and carry people’s gear. “Shortly after everyone took off like a bat out of hell, we saw something jump between two trees. The figure was stretched out like someone doing a jumping-jack while jumping in a lunge. It must have been at least 6 feet tall. At first we thought it was my brother messing with us, he was the only one in our group tall enough. Both my friend and I have a lot of outdoor experience. It was positively not a deer, sheep, elk or a bear. Although it’s color was very similar to the light grey of a mule deer during that time of year. The arms were clearly visible as were the legs, but it moved very fast between the trees. “It was very unusual that we never heard a sound come from the animal. It was only about 30-60 yards away and we didn’t hear a thing! We are both very experienced with wildlife and the sounds of the different animals. “One other witness. Just prior to the sighting the whole group of 6 were hiking back to camp. Four of the others had just ran though the timber before us. The witness said he was “surprised at the lack of sound from the movement of the animal. Neither padded footfall like bear, nor hooved footfall like deer, elk, or sheep. No sound at all.” He reported his encounter in 2009. The following reports also occurred during that spring of 1994, but were located across the valley to the southwest, up near the headwaters of the Conejos River—located along the Lake Fork, Conejos County, Colorado, near the border with the San Juan Wilderness. “In the first week of June, 1994, my 2 sons and I were fishing in a beaver pond on the Lake Fork of the Conejos about 1 mile upstream from where the Lake Fork of the Conejos meets with the Conejos River. It was near sunset and the sun had already gone behind the mountains. There was a sparsely forested rise toward the southwest, above the beaver pond we were fishing. Just beyond this rise was the south slope of a ridge of old growth forest. “A horrible gravelly scream or yell of almost unbelievable volume came from just inside the forest at about 150 to 200 yards distance. I am an avid bowhunter of 20 years experience with all manner of big game and the sound was definitely not an elk or bear. Elk make some loud and unusual sounds but this sound was vastly different and many times louder. I noticed that a light breeze was blowing from us toward the source of the sound. If the creature had a good sense of smell, it probably smelled us. Bowhunting experience has taught me that an elk would smell us under the same conditions. The sound had a threatening essence to it. The sound itself was kind of indescribable and seemed louder than a creature could possibly make. “Whatever made the two tone scream must have one big set of lungs and a very large, megaphone size, mouth. The sound lasted about 1 or 2 seconds and was repeated three times, with a 10 or 15 second pause between each blast of noise. I was unarmed and decided since I had my sons with me I would give the creature its space. We left. “I was somewhat alarmed, but would have gone to the source of the sound if I had not had my sons with me. I did go to the area of the source of the sound the next morning alone at sunrise to see if I could find tracks or other evidence of the source of the sound. “I [found] some very old large tracks in soft dirt on a flat area about 1/2 mile uphill. They were about 16″ by 8″ in size but too old to discern any toes or other detail and could have been bear tracks distorted and enlarged by rains and time. There was a line of about 20 of these large tracks in single file across the bare ground of this bench. Most of the rest of the soil in this area is too rocky to see the tracks of soft-footed animals well. The tracks I found were at least a week or two old. I spent all morning looking the area over, hoping to find evidence, but hoping I didn’t find the creature itself. “In 1996 my children and I backpacked to Big Lake and spent 4 uneventful nights in a backpacking tent. Big Lake is within 1/2 mile of where the other reports for Conejos County watched one of the creatures for 5 minutes in the summer of this year 1997. We did not go to the area this year because of lack of vacation time. I know that this group of sasquatches are following the herds of elk in the area and that they are migrating south and east of the Conejos County summer area to lower elevations with the elk herds. Interestingly, these are the same herds of elk that summer in the Lake Fork area of the Conejos. I did find an area where the game animals would not go in the area, in spite of good browse and grazing. The area is, I think, home base in the summer for these creatures. Again, the following summer, the week of July 13, 1997, additional sightings on the Lake Fork of the Conejos were filed by area residents and visitors. This next event occurred on the Lake Fork foot trail, about half way between Big Lake and Rock Lake. The sighting was made from the eastern branch of the Saddle Creek logging road [and was] line-of-sight distance approximately 2.5 miles SSE of Platoro, Colorado. “I was on the logging road, about 0.25 miles lateral and 1,000 ft or so vertical distance from the Lake Fork trail when I made the sighting. We were standing on a rocky overlook next to the logging road which allowed a good view of the Lake Fork Valley, including Big Lake and Rock Lake. “It was approximately 1:30 in the afternoon. 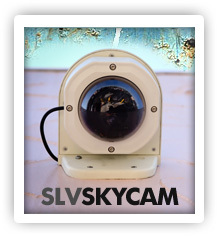 [There were] clear skies with unlimited visibility. The sunlight was shining directly on the Lake Fork Valley floor [and I] had a clear view with no obstructions. The Valley floor was about 0.5 miles away and 1000 or 1500 feet downhill. The overlook from which my wife and I were watching is about two miles in an easterly direction from where the Saddle Creek logging road forks off to the Tobacco Lake trailhead. “I saw with binoculars a group of three hikers and a dog making their way down the Lake Fork Trail toward the Lake Fork Ranch. They were walking at a fairly normal speed. What I would say to be 400 or 500 yards in front of them was a large, black object moving in the same direction–away from the hikers–at a much faster speed. It was not on the trail, but instead in the meadow next to the trail. It seemed as if it was spooked by the hikers. I’d say it was about a half mile from me, and 1000 or so feet downhill, so I couldn’t get a really good gauge on how big it was. Although, judging its size against the hikers, it was clearly much larger than a man. There is no question that it was bipedal; not once did I see it move [as a] quadruped. This was definitely not a bear. “If you travel west from Walsenberg, CO taking U.S. 160 westbound up and over La Veta Pass and go through the towns of Ft. Garland and Blanca, and turn right on Co. 150. You are headed north toward the Great Sand Dunes. The huge stack of mountains on your right is called the Blanca Massif. Go about 2 miles on 150 and turn on what is called Lake Como Road. This is called “the toughest Four Wheel Drive Road in Colorado, and the third toughest in the U.S.” Take the road (up & over “Oil pan Rock”) until it ends at a small parking area a quarter mile below the lake, that is 6.8 miles from the road’s trailhead below. It will take you about 4 hours. The sighting event had an innocent beginning. The primary witness and with his mother, father and an uncle were four wheeling up the Como Lake Road. “We didn’t think to much of it until it moved. It stood upright and walked like a man. At first, we thought it was a hiker but it was all the same color, from head to toe. It walked about 15 yards before it walked into the trees. My uncle and both stopped to make sure we saw the same thing. But we drove down the road about 300 to 400 yards before we decided to go look for it. We walked into the trees about 200 yards and came to a small meadow. My uncle was looking the other way when at the other end of the meadow it ran through. I yelled, ‘There it goes’!